In the nearly 65 years since author J.R.R. Tolkien’s The Lord of the Rings: The Fellowship of the Ring kicked off one of the most enduring fantasy worlds in literature, readers have enjoyed no shortage of luscious art depicting the saga’s colorful cast of characters. From furry-footed hobbits and stout dwarves to wizened wizards and towering Balrogs, Tolkien’s narrative has been brought to life on screen, on stage, in animation and through every visual medium known to man. This week, LotR fans can treat themselves to some of the most resplendent paintings and drawings of the story in Middle-Earth: Journeys in Myth & Legend. Published by Dark Horse Comics, Middle-Earth: Journeys in Myth & Legend collects nearly 200 works of art from painter Donato Giancola, who has committed much of his career to depicting the mythos in decadent oil paintings. Giancola has also worked on art for George R.R. 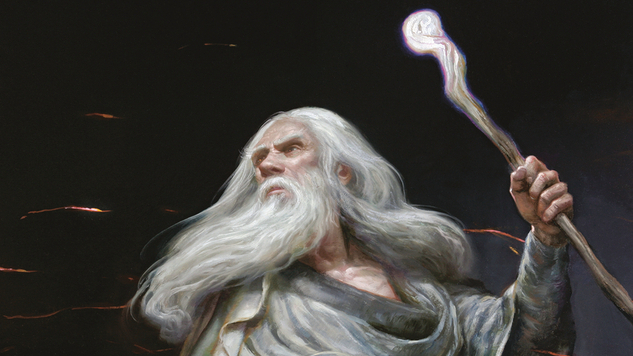 Martin’s A Song of Fire & Ice series, leading Martin to call him “an astounding talent.” Paste readers can enjoy an exclusive preview of Giancola’s work below, and can find Middle-Earth: Journeys in Myth & Legend in comic shops today.